david’s aunt and uncle live in driggs, idaho (just on the other side of the tetons from jackson hole, wyoming). 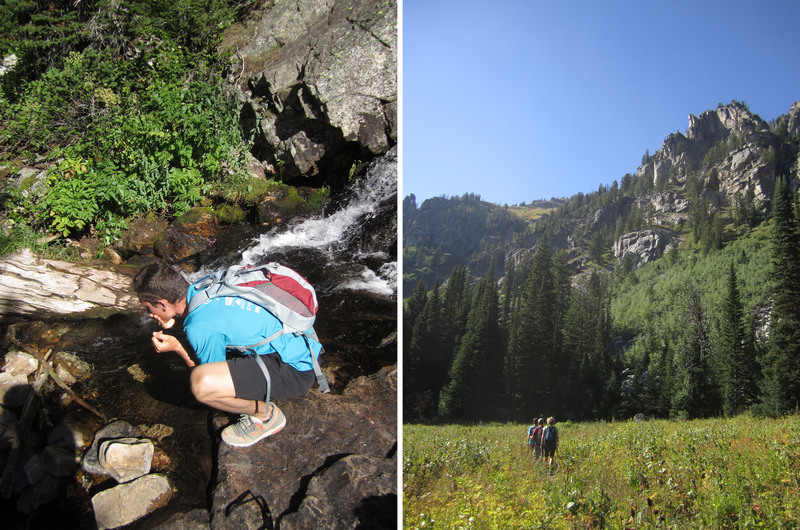 we decided to join david’s parents on a mountain adventure there over labor day weekend. id never been to driggs or jackson hole, so it was all new territory. 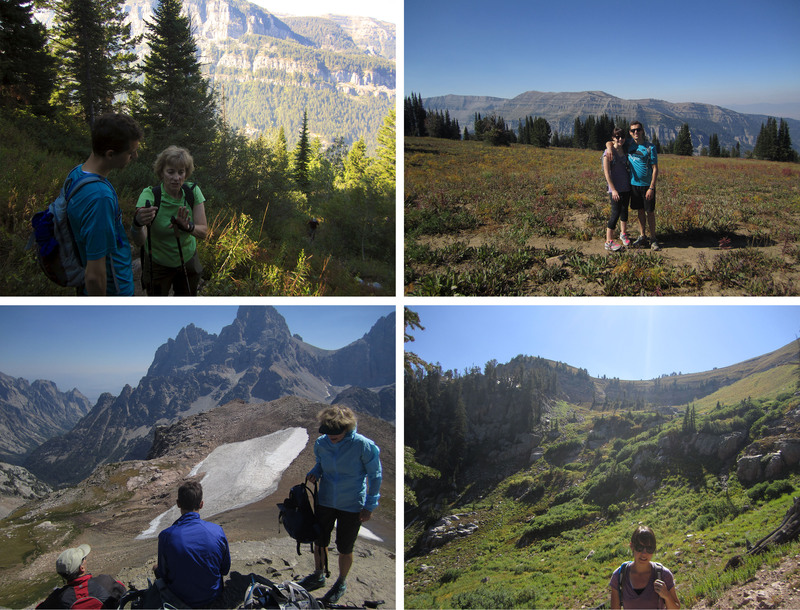 on saturday, we hiked the tetons to a place called table rock, that overlooks the tetons from the west side. it was an 11-mile hike with an intense incline in the beginning, but it all paid off once we got to the top. good thing ive got david’s parents to provide me with hiking poles, cliff blocks, and all kinds of stuff i don’t know much about. 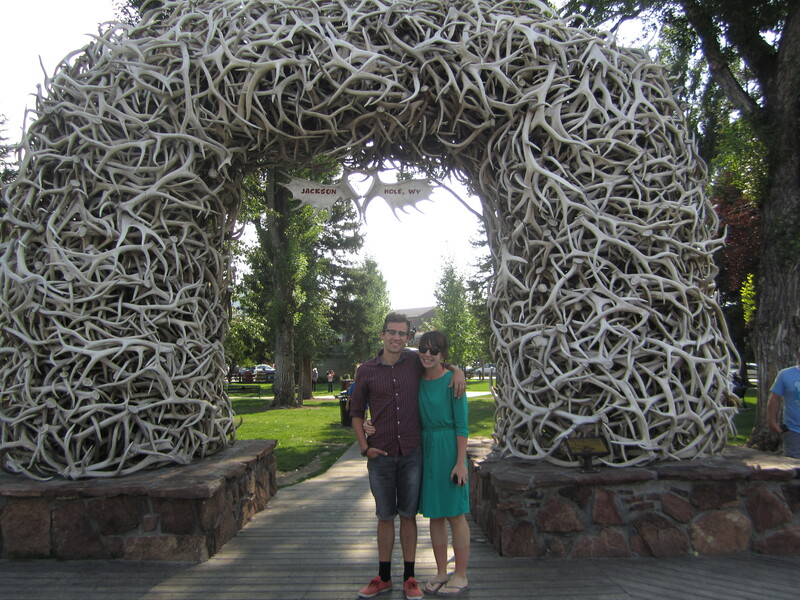 the next day, we went over to check out jackson hole and grand teton national park. we rode 25 miles, which wasn’t too exhausting compared to the hike the day before, but it WAS a little comical for me to be on that rode bike at first. all kinds of gears and positioning and, once again, things i know nothing about. i was somewhat getting the hang of it by the end of the ride, though, and the scenery couldn’t be beat! we stopped at a lake to eat lunch halfway through, and then headed back into town. check out those tan lines. great idea to wear capri-length leggings on the hike! 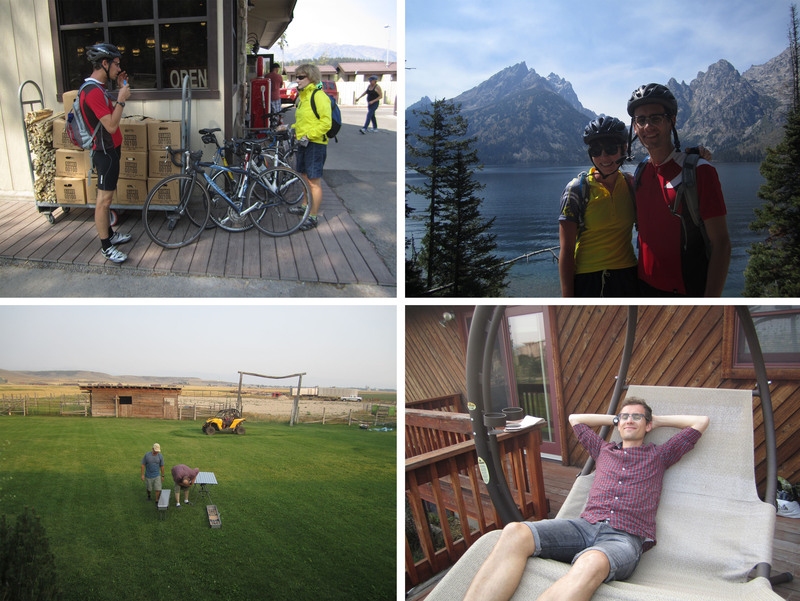 This entry was posted in getaways and tagged biking, driggs, hiking, jackson hole. Bookmark the permalink. what the what! such pretty and fun activities. i love every minute of this weekend of yours.